This entry was posted in Fun Things to Do, Travel, U.S. / North America and tagged 9/11 museum, 911 memorial, american museum of history, ground zero, guggenheim museum, MoMA, new york, new york city, ny, ny holiday lights tour, ny ice skating rink, ny museum of modern art, ny museums, nyc, radio city xmas show, rockefeller center, rockefeller center xmas tree, rockettes christmas spectacular, top of the rock on November 2, 2016 by Alana. If you’re planning on visiting New York City soon (or sometime in the future), we just found out about two exclusive must-see sightseeing tours that you may want to check out. Be one of the lucky people to experience the Statue of Liberty up close (only a limited number of visitors are permitted per day). Feel like a VIP – get early access to the top of the Empire State Building before the tourists arrive. No need to wait in line at the Intrepid Sea, Air & Space Museum to see the Space Shuttle Enterprise – skip-the-line and get into the exhibit before the crowds. 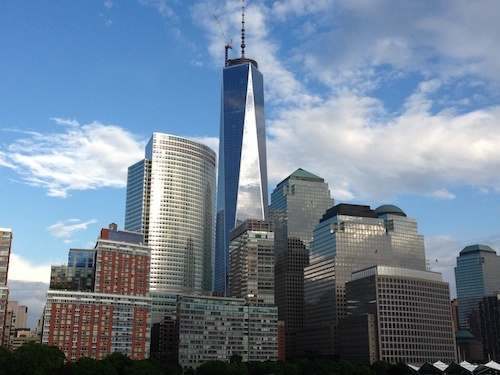 Visit the 9/11 Memorial and spend time at the twin reflecting pools that sit exactly where the Twin Towers once stood. Find out more about these two exclusive sightseeing tours that you won’t want to miss. This entry was posted in Travel and tagged 911 memorial, empire state building, new york, new york city, NY, ny bus tour, ny cruise, ny museum, ny tour, nyc, space museum, space shuttle enterprise, statue of liberty, twin reflecting pools on August 3, 2015 by Alana. The festive Holiday Season is one of the most magical and exciting times of the year to visit New York City. And this year is no exception. Approximately 5 million people are expected to visit NYC during this period. If you’re planning on being one of them, check out our 7 Fun Things To Do in NYC during the Holiday Season. And be sure to watch our New York City attractions video below. If you only have time to see one show, the Radio City Christmas Spectacular is the one we recommend. It’s our all-time favorite holiday show, featuring the world-famous Rockettes and their legendary performance of the “Parade of the Wooden Soldiers.” No matter how many times we see this show, it still gives us chills… in a good way! Show runs November 7-December 31. Book early before it sells out – this is a very popular family show, both with the locals and visitors alike. Top of the Rock Observation Deck sits high above Rockefeller Center, on the 70th floor. The spacious open-air deck is surrounded by huge panels of glass, offering visitors an unobstructed view of New York City. During on of our visits, we were lucky to get there just before sunset and watched as the Manhattan skyline lit up before our eyes, as the city went from sunset to twilight. It was surreal! Climb steps to a second-level area overlooking the main Observation Deck for even better “open-air” views and no glass panels. This is the best place to take pictures. Views include a panorama of Central Park, the Empire State Building, Times Square, Chrysler Building, the Hudson River, the East River, the Brooklyn Bridge – even the Statue of Liberty (in the distance). Open 365 days a year. See breathtaking 360-degree panoramic views from New York City’s most famous skyscraper. The Empire State Building has two Observation Decks – the Top Deck on the 102nd floor (glass-enclosed and heated in the winter) and the Main Deck, a larger outdoor Observatory on the 86th floor. Both offer stunning Manhattan skyline views. If you’re thinking of proposing to your honey over the holidays while visiting this romantic city, the Empire State building is a memorable place to do it! Get your tickets in advance before they sell out over the holidays. Be sure to visit Rockefeller Center and see the world’s most famous Christmas Tree and Ice-Skating Rink. The Rockefeller Center Christmas Tree Lighting took place on Wednesday, December 3rd – the Christmas Tree will remain lit and on display through the first week in January. During winter months, Rockefeller Center’s sunken plaza is filled with ice-skaters – the famous Ice-Skating Rink is visited by over half a million people each year. Spectators can watch the ice-skaters from above the plaza – it’s a fun place to hang out and people-watch. See the Rockefeller Center Christmas Tree and Ice Rink – and all the dazzling lights of Manhattan on a New York City Holiday Lights Tour. The nonstop 2 1/2 hour fully-narrated early evening bus tour (not hop-on-hop-off) takes you through the streets of NYC to see all the holiday lights, including those amazing shop window displays along Fifth Avenue. It’s such a special time of year to see New York City. Bus departures every 30 minutes between 5:30pm and 7:30pm. This is a fun and inexpensive way to see the city and it’s magical holiday lights and decorations. Stay on the bus for the entire tour or hop-on-and-off at your leisure at any of the 50+ stops along the route. We recommend you take the tour at the beginning of your trip – that way you can go back to an attraction that you want to spend more time visiting. 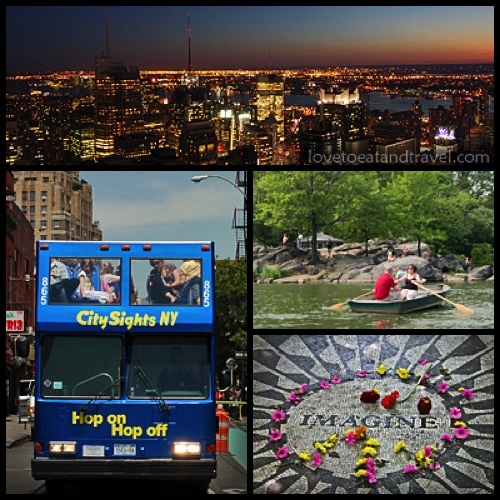 We’ve taken a lot of these type of bus tours over the years and the NYC tour is one of our favorites. Fun for families. Buses run every 10 to 30 minutes. Enjoy breathtaking views of Manhattan’s famous skyline from the water on a relaxing narrated Manhattan Island Cruise. 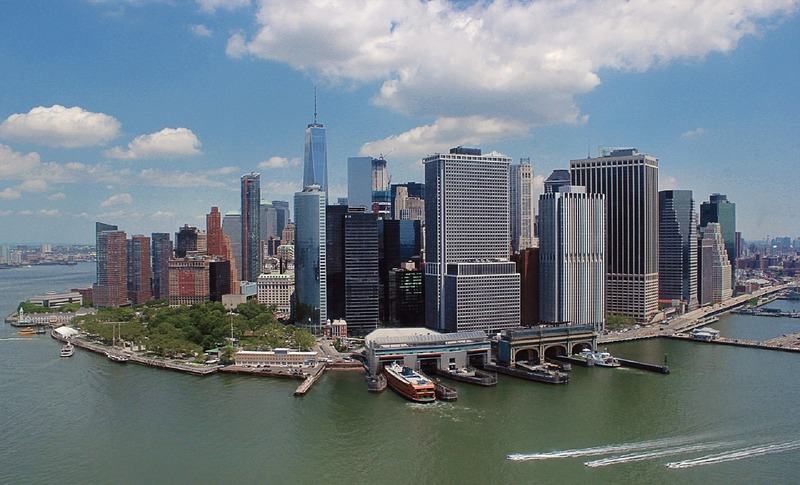 See all the sights and learn about the city’s history on the only New York cruise to circumnavigate Manhattan in its entirety. Get an up-close view as you cruise by the Statue of Liberty and Ellis Island. Morning and afternoon cruises are available. See the twinkling lights of Manhattan as the skyline comes alive at night on this fun 1 1/2-hour narrated Harbor Lights Night Cruise. Admire unparalleled views of New York’s most iconic landmarks including the Statue of Liberty and the Brooklyn Bridge – both a spectacular sight when illuminated at night. Celebrate the holidays on this fun 3-hour Christmas Eve Cruise along the Hudson River aboard the elegant yacht Atlantica with panoramic windows and outdoor observation deck. Admire the dazzling lights of Manhattan’s spectacular skyline at night. Indulge in a gourmet 3-course dinner and enjoy cocktails, beer and wine from the premium open bar. Dance to holiday music as you take in the sights of NYC’s most popular landmarks, including the Empire State Building, Ellis Island and the Statue of Liberty. Make this a Christmas Eve to remember. Make this New Year’s Eve a memorable one. Ring in 2015 as you cruise along the New York Harbor with the illuminated Manhattan skyline as your backdrop. See spectacular views of the fireworks display at the Statue of Liberty. This fun 3-hour New Year’s Eve Cruise includes delectable hors d’oeuvres, full open bar, DJ and dancing, party favors and a champagne toast at midnight. What are some of your favorite things to do when visiting New York City? This entry was posted in Fun Things to Do, Travel, U.S. / North America and tagged christmas eve dinner cruise nyc, empire state building, Fun Things To Do in NY, Fun Things To Do in NYC, fun things to do in nyc during the holidays, manhattan cruises, new years eve cruise nyc, new york city, ny bus tour, ny holiday lights tour, ny sightseeing cruises, nyc, radio city christmas show, top of the rock on December 12, 2014 by Alana.